Planning your child's Birthday Party can be a challenge. We can help make it a bit easier with our selection of Party Packages. Busy Moms and Dads have told us they love getting everything the need from one source. You can create a wonderful experience for your family and friends with one phone call or right here online. See just how far your Party budget will take you with a Discount Party Package. When several items travel together you save money. Why pay two or three companies to drive to your venue when A Child's Joy has it all? This basic package starts with Pony Rides, a Petting Zoo or an Entertainer and lets you add one more extra item you might need. Have a Water Party this summer. Pick a Water Tunnel or Slip n Slide then add Tables, Chairs and an Awning for a real cool party. Already having Pony Rides or Petting Zoo? What a value you get with this package! Start with your choice of two Entertainment items, then pick two Party Rental items to complete your event. This is one of our most popular Party Packages. 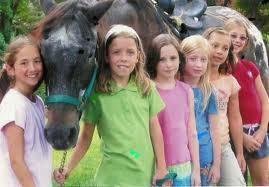 Your Pony Rides and Petting Zoo will be the highlight of the event. Schedule the Bounce for the whole party and use the animals to either kick it off or as the grand finale. For just $10 more than the last Package, have your Pony Rides and Petting Zoo along with one of our talented Entertainers. When you want a show stopper the Ferris Wheel or Circus Train is the way to go. Add Tables and chairs, Spin Art Machine, Balloons or a FunFood Machine. “Thank you for making Sophie’s 5thRodeo extra special. The sheer excitement of the kids was overwhelming. Thank you for having Stormy and Beau join us. My husband was especially impressed by how well behaved and trained the animals are. Who knew, “no mess” pony rides. Loved it! The hay bales were a nice touch to our theme. “I would like to say that the entire process was awesome!!!! The person that handled Stormy the pony was very professional and was calm around the “chaos’” of little kids. To your child, their birthday represents one of the most important days of the year. It is essential that you have the resources to create the birthday party your kids deserve. Are you looking for Birthday Party Ideas? Since we began in 1990, A Child's Joy is still the one quality children's entertainment company in Arizona that can offer you everything you need to plan that perfect party on any budget! Call us now at 680-820-8030 or reserve your Party Package online. We represent Arizona's best Professional Children's Entertainers such as Magicians, Face Painters, and Balloonists. Remember; part of the rental fees for any item from any busines go to cover the time of travel. So it only makes sense that having your entertainment travel together saves you money! Call us today or reserve your Pony online right now. Pick your date, Pick your entertainment, Reserve it online and enjoy your party! Please call 480-820-8030 if you have any questions or if you don't see what you're looking for.